and Wrestling School practioners that explored the practice of preparing and presenting Howard Barker plays in performance. Howard Barker and The Wrestling School have produced perhaps some of the most controversial theatre in the UK. These exhilarating but challenging works inspire hatred in some but passionate devotion in countless others. Why? What are the characteristics of this work? What are its guiding principles and governing aesthetics? Why does it inspire so much pleasure and devotion among performers? How is this work made to resonate so powerfully in performance? Is the creative process transformed by the writer as director? This intensive practical residential school led by Howard Barker and key Wrestling School practioners explored the practice, techniques and underlying theories that make up the Howard Barker/Wrestling School approach to these extraordinary texts. TWS Summer Schools are of interest to both the practioner (actor/director) who wants to gain a greater insight into approaches to presenting Howard Barker’s texts on stage and those who wish to take a more academic/analytical approach to the texts and gain greater understanding of Barker’s underlying theories of theatre and the highly individual and ground breaking aesthetic he has developed over the past 21 years. Why do we present plays at all? For whom? For what purpose? These basic questions underlie everything TWS has staged. Howard Barker led masterclasses on his theory of Catastrophic Theatre, a theory that has been the starting point for the move to method and presentation. 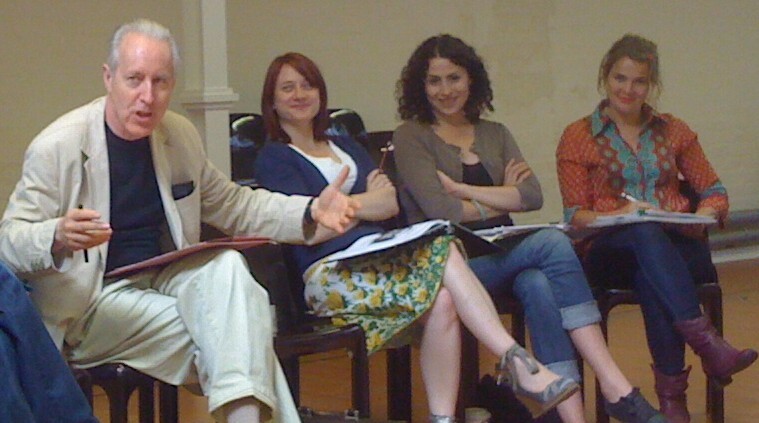 The sessions also included an opportunity to observe Howard Barker directing company members in new Barker texts. 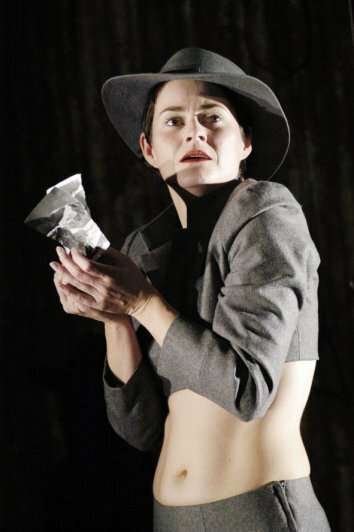 Poetic text and the actor Examination of the technical demands and rewards of working with Barker texts. Reading the text A performer’s approach to the text on the page. Sounding the text Practical work in sensing that Barker’s texts are the gestural in sound; the excitation of the text into the palate and the mind is a somatic experience, which when fully articulated, renders a Barker text clear, exhilarating and real. The development of an aesthetic philosophy Howard Barker reflects on the development of the company’s style. There will be opportunities for practical work on Barker texts, though these sessions are not compulsory for people who would rather just observe. Accommodation: Comfortable accommodation on campus with breakfast is included along with a welcome lunch. The last night concluded with an optional meal out in Exeter. Included 2 nights accommodation on campus, welcome lunch, tea/coffee throughout. The school began with a welcome lunch at 1pm on Mon 16th and end mid afternoon on Wed 18th. So it was possible to travel from/to London within the three days. Alternatively additional accomodation can be arranged at the start at end.